It’s the middle of the summer, it’s hot, it’s humid, and all of a sudden your air conditioner is not working. Your immediate thought is that it’s broken, dead, kaput, and that now you will have to find the money to buy a new one- there goes your week trip to the beach, and instead of laying in paradise you’ll be sweating at home because your A/C is not cooling! Wish you knew what was going on? 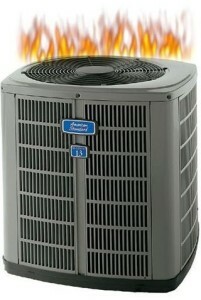 We want to give you an insider look at the problems we see most often with air conditioners! And the first one you may not like; you. Operation error is the biggest problem we see with HVAC units. For example, leaving it running and having all of the doors and windows open- and for a room air conditioner, isolate that room as much as possible, close the door in to the room and all the windows. Other problems we see happen from shoddy installation, or inadequate service. We fix other HVAC companies’ mistakes all the time! 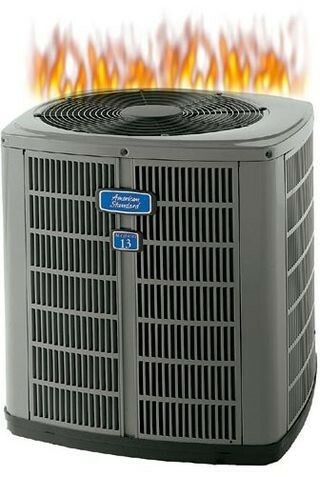 Air conditioners that get low on refrigerant for one of two reasons; either it was undercharged at installations, or it leaks. If it is leaking, simply adding refrigerant is not a good solution- it’s like your car leaking oil! Make sure the technician fixing your leak is well trained and that he tests and charges the system with the correct amount of refrigerant. The efficiency and performance of your air conditioner is greatest when the refrigerant charge exactly matches what the manufacturer’s specifications are. On top of being bad for your A/C unit, leaking refrigerant is bad for the environment. Allowing filters and air conditioning coils to get dirty is one of the easiest ways to ensure that your air conditioning unit will fail early. Having a maintenance agreement with your HVAC professional is the easiest way to ensure that it won’t happen. We change filters and clean coils for you when we come out to inspect your machine. When the weather outside gets humid, make sure to check the condensate drain to see that it isn’t clogged and draining properly. If your unit is not mounted level, it may not drain properly, causing both short term and long term issues. If you turn your unit on and off frequently, or even if you have an oversized machine, the compressor and fan controls tend to wear out. Corrosion of the wire terminals is another problem with some systems. Make certain your technician checks the electrical parts of your HVAC system when he comes in for maintenance. Most air conditioners now come with a thermostat sensor that is located behind the control panel and measures the temperature of the air coming in to the evaporative coil. If this sensor gets knocked loose or damaged, the air conditioning unit may run constantly or behave erratically. The sensor should be near the coil, but not touching it. Most of these issues can be proactively avoided by keeping up your maintenance plan and having a great company at your service when disaster strikes!